Oh, you want to know what I drank with the blood orange and burrata salad I made the other night? This. Always a delight. A joy and a crowd pleaser. But the shocker was what a great pairing it was. 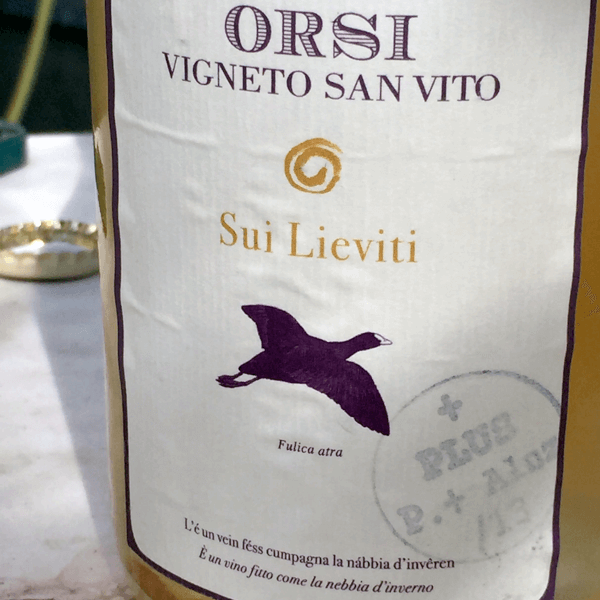 The wine comes from the heart of what might be one of the worst farmed regions in Italy, Valdobbiadene, where the chemical use in the vineyards is high and, many of the locals claim, so is their cancer rate. But here is an oasis of organic. Also old vines. Loris Follador’s youngest are 60 years and planted into high trellised pergola. The process goes like this...After a partial fermentation the fine lees are separated off through a paper membrane. Then they are flowed back into the bottle for refermentation. There is no disgorgement. There are lees, but not so very much. The result is a very pure-tasting wine that is stone-like. In fact, it’s bone-like, dry, with a fine bubble of earthiness. Imported by Louis/Dressner Selections. Federico Orsi works just outside of Bologna in the Colli, on beautiful rolling hills. He’s on limestone instead of the silt you find further west, making still and referemented wines. The frizzante normale which is way easier to snag is also quite good, but when you get into the longer aged wines like this one, you’ll feel the harmonic convergence—more intense and bubbled. 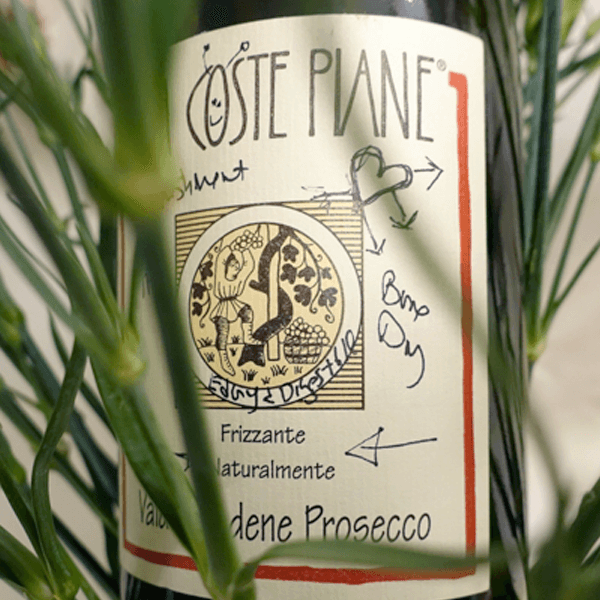 It’s labeled as a frizzante but it has enough pressure to be classified as spumante—if it had been disgorged and finished with a champagne cork. Frederico gave it two weeks of maceration and then it spent four years on the lees. As usual he kicked off refermention in the bottle using the must of the same vintage—common practice among the natural wine peeps in Emilia. There is plenty of dry peach and apple in this wine, all wrapped in a coarse, emery board texture. Imported by Louis/Dressner Selections.